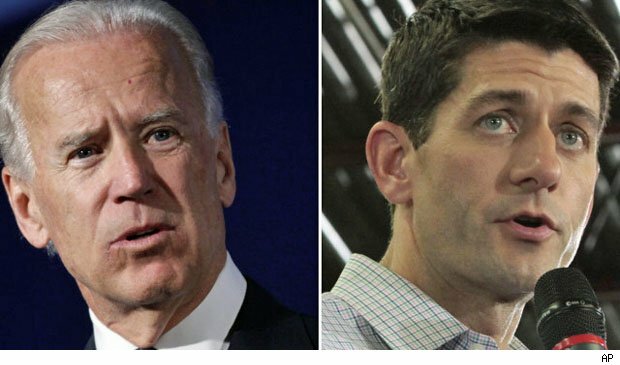 Thursday's match-up between Vice President Joe Biden and vice presidential hopeful Paul Ryan may not be the most anticipated debate of the election season, but for those who do tune in, the discussion will likely showcase how devoted each man is to his running mate. Playing second fiddle to a more successful and sometimes better known persona can be challenging. How do you support your boss -- without seeming like a lackey? How do you maintain your own identity and exhibit your talents, without upstaging the boss -- and possibly alienating him or her? 1. Know what you bring to the job. Your boss has strengths, and so do you. Understanding how you contribute to the duo is vital to feeling satisfied as second in command. "Being effective as second in command means knowing how to add value to the power of the partnership. You aren't an under-study, you are key player who can enhance the success of the team," says J.T. O'Donnell, AOL Jobs career expert/blogger and founder of CareerHMO.com. She suggests carving out your own goals and agenda and showing your ability to get things done while supporting your boss. "If you want the top-spot someday," O'Donnell says, "you need to be able to step out of the shadows of your boss and shine on your own." 2. Be an extension of your boss, not a copy. It's important for the second in command to be an extension of the boss. However, it's not necessary for him or her to share the exact same views as the boss. In fact, it can actually benefit both parties if they have slightly different opinions. "It is not important for the second to adopt the same personal style or brand because this person is a leader by their own right and should be seen as such by others," says Dorothy Tannahill-Moran of NextChapterNewLife.com. Additionally, Tannahill-Mornan says that it's OK for others to see that the two don't always hold the same opinions on things. "For people to see disagreement in opinions means that there is room for growth and diversity of opinion," she says. "Even as a second, people will not respect or follow someone they think is a 'lackey' to the boss but is respected by the boss for their unique contributions." 3. Don't let yourself be the scapegoat. "Sometimes being 'second in command' can mean you're 'first to blame' if things don't work out the way your boss plans," says Amanda Haddaway author of "Destination Real World: Success After Graduation for New and Soon-to-Be College Graduates." To ensure a positive working environment, Haddaway suggests making a deal with your boss to never criticize each other in public. If there's an issue, take the time to resolve it one-on-one in private. "This allows you each to save face and puts you in a better position to become the number one person should your boss decide to move onto another opportunity," she says. 4. Make the boss look good. "You don't want to overshadow your boss, but you want to do everything you can to make him or her look good and get promoted," says Bud Bilanich, author of "Climbing the Corporate Ladder." That's the easiest way for you to get promoted. "Once a decision is made," Bilanich says, "support it in public -- both inside and outside of your company." How have famous sidekicks managed the role? Check out the gallery below, which features six well-known right-hand men and women, and then share your own experience. After 15 years as a second fiddle -- i.e., newsreader -- Ann Curry was tapped to become Matt Lauer’s co-anchor on the "Today" show in May 2011. As the newsreader, she won plaudits for her enterprising journalism, which took her to far-flung reporting assignments in hotspots like Darfur, Sudan, back in 2007. Just a year into co-anchor role, Curry was sidelined to a lesser role at NBC. Why? According to NBC News president Steve Capus, Curry was wrong for the job because of her journalistic seriousness. "I think her real passion is built around reporting on international stories. It’s tough to convey a sincere interest in something if you don’t possess it," he said. For her part, a dismayed Curry partly agreed. "I've tried to wear clogs and flats on TV and it hasn't gone well with my bosses," she said. Either way, the show is no more the better in the vital ratings department after Curry’s departure; "Today" had an average of 4.9 million viewers during her last 10 weeks, slipping to 4.6 million during the next 10 weeks after she left. Every visionary needs a trusted sidekick to help realize his or her big aspirations. For Facebook founder Mark Zuckerberg, that person is Sheryl Sandberg. Three years after creating Facebook from his dorm at Harvard University, Zuckerberg met Sandberg, then heading up the online sales division for Google Inc. She came on board in 2007 as the chief operating officer, and in three years' time, the social network began turning a profit thanks to the discreet advertising strategy she oversees. One successful program has been the sponsored stories, in which Facebook users mention a brand they are either using or visiting in their timeline. Along the way, she has also become a pioneer for women, becoming the first woman to join the company’s board. Her TED talk, "Why We Have Too Few Women Leaders," is also being turned into her first book. Of course, the company's initial public stock offering this year hasn't been quite the success management hoped for, and Facebook Inc.'s valuation has dropped to $50 billion from $100 billion. But that's still not too shabby a number for a website powered in part by pictures of fraternity parties. Either way, Sandberg's star has hardly been blemished by the struggles. With the 2012 campaign in full swing, the Obama administration is already eyeing Sandberg for top spots in a second term. According to Politico, she "might be asked to be Treasury secretary or, more likely, to succeed Gene Sperling as director of the National Economic Council." Regardless, Sandberg's book, titled, "LEAN IN: Women, Work, and the Will to Lead," is due out in March. In your interview for the big gig, it helps to knock it out of the park. So with the 2008 Republican convention just days away, and no final selection made about who Republican presidential hopeful John McCain would choose as his running mate, it seemed like a stroke of divine luck to the campaign when the little-known governor of Alaska showed up for her interview at McCain’s ranch in Sedona, Ariz. "You can't blink, sir," Sarah Palin reportedly told McCain about any hesitation she may have in representing a presidential platform that might veer from her own brand of populist conservatism, according to the popular book about the 2008 election, "Game Change." And at first, Palin seemed like the perfect second fiddle, capable of not just giving a pitch perfect endorsement for the boss, but also doing so with a burst of energy that looked like it could only further the cause. "I guess a small-town mayor is sort of like a community organizer," Palin told the 2008 Republican National Convention, referring to then Democratic candidate Barack Obama. "Except that you have actual responsibilities." But then Palin hurt the ticket went it was revealed Palin couldn't name a newspaper, among other snafus. And of course, she violated one of the first rules of being a good sidekick -- she ignored directions from the boss. Indeed, on the night of the election, Palin expressed frustration she wasn’t going to deliver her own concession speech. She was told by McCain's people such a move would break from tradition, as no vice presidential candidate had ever delivered a concession speech before, and the night belonged to McCain. Since then, though, Palin has amassed wealth and fame as a broadcaster and author. Palin has been tight-lipped about her finances, though she reputedly got $7 million to write her first book, ensuring she likely won't be anyone's sidekick again. When the team star is known simply as "Air," it's tough to keep up when you are bound by less heavenly realities. But Scottie Pippen hardly ever minded being second dog to Michael Jordan on the Chicago Bulls basketball team when the club cobbled together six championships during eight seasons. And in that time, which spanned from 1990 to 1998, Pippen proved more than willing to take the rough on-the-court assignments that don’t show up in the score-box, such as guarding living legend Magic Johnson during the 1991 NBA finals. To this day, Jordan retains an appreciation for Pippen, and he even showed up at Pippen's 47th birthday for a dance-off. But when Jordan temporarily retired from the game during the 1994-95 and 1995-96 seasons, Pippen was simply less excited about being a team player. With the clock winding down in a close playoff game against archrival New York Knicks, the team decided it still wasn't Pippen’s moment to take the final shot, even with Jordan gone from the team. So coach Phil Jackson drew up a play for forward Toni Kukoc. Pippen was so frustrated by the decision he asked to sit out, rather than assist the team. After seasons in which his coach had nothing but praise for Pippen, Jackson was left speechless. "He asked out of the play, and I left him off the floor. That's all I'm going to talk about that." "Here’s Johnny," was bellowed every night for 30 years by Ed McMahon to introduce his boss, Johnny Carson, on "The Tonight Show." The avuncular presence demonstrated by McMahon wasn't, however, the whole story behind perhaps the most famous second fiddle in the history of show business. From time to time, McMahon showed he had all the necessary tools to take on the top position on the show. For instance, he once turned to comedian Jerry Lewis and served up this zinger: "You're such a great mimic ... why don't you mimic humble for a minute?" But McMahon was comfortable in his role as the show’s announcer from 1962-1992. When asked by People magazine in 1990 if he ever hope to replace Carson, his answer was simple: "No." McMahon then explained: "I did host the show in the beginning, maybe 12 times. But at this point I don't want to disturb the audience. They like me where I am. People think, 'there's Johnny, there's Ed.' I don't want to throw the thing out of whack." For fans of daytime TV, there is perhaps no more memorable duo than Oprah Winfrey and Gayle King. The long-time friends met in the late 1970s when the were both working at a Baltimore TV station, where Winfrey was a news anchor and King was toiling away as a production assistant. But fame soon knocked on Winfrey's door and King came along for the ride. By 1986 Winfrey was hosting the now iconic "Oprah Winfrey Show," which ran for 25 years. As her fame and influence grew, King was also redefined in the process. The two women owe their sister-like friendship to their similar sensibilities. "It's very nice to have someone who really gets you -- really gets you," King told The New York Times last year. Their close-knit relationship fueled rumors of a lesbian affair, though both have said they are heterosexual. King used to bristle at the gossip, but told the newspaper that she has since become resigned. "There will always be people that believe it," she said, "and there's nothing I can do, and I truly no longer care." As some good sidekicks do, King followed in her boss's footsteps, hosting her own talk show on Winfrey's OWN cable-TV network. Then she got the big offer to be a star of her own, and now she is co-host of CBS This Morning, seated alongside broadcasting giant, interviewer Charlie Rose. By all accounts, Oprah Winfrey remains her close friend and supporter.